IGNOU School of Education launch a new course called Post Graduate Certificate in Information and Assistive Technologies (PGCIATIVI) for the Instructors of Visually Impaired. IGNOU School of education is one of the first schools to be established in IGNOU. SOE offer academic programmes in education in four disciplines namely, Education, Distance Education, Educational Technology and Adult Education. Some of the popular courses offered by SOE are IGNOU B.Ed & IGNOU PhD. IGNOU Post Graduate Certificate in Information and Assistive Technologies has been designed to educate & train Instructors of Visually Impaired. The programme helps Instructors of Visually Impaired to learn modern and updated information and assistive technologies which provides hands on experience in acquiring skills and competencies. There are ample amount of opportunities available in the area and the certification will help instructors to explore more employment opportunity. The minimum duration to clear the course is 6 months although the maximum duration is 2 years. 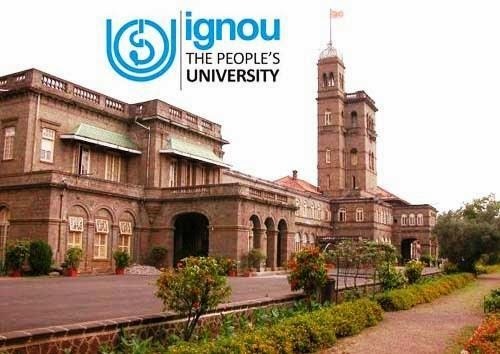 There is no minimum or maximum age limit to take admission into this course, that means people from all age group can take admission into IGNOU's Post Graduate Certificate in Information and Assistive Technologies (PGCIATIVI) programme. Candidates with a Bachelor in Computer Science or any Graduate with Diploma or Certificate in Computer Science or Any Graduate with no certification in Computer Science has to complete CIT Program of IGNOU is eligibile for admission into 6 months Post Graduate Certificate in Information and Assistive Technologies programme. The medium of instruction for PGCIATIVI course in English only. Candidates interested to take admission into the programme can obtain Student Handbook and Prospectus from nearest regional center and study center by paying Rs.200. Last date for application is 20th June 2014 and with late fee of Rs 300/- till 31st July 2014. The fee for Post Graduate Certificate in Information and Assistive Technologies is Rs.5000. For more information about the course, interested candidates can visit IGNOU's official website or can visit their nearest regional or study centers. As we mentioned earlier the last date for application is 20th June 2014 & with late fee it is 31st July. The course is really a good opportunity for Instructors of Visually Impaired to learn modern techniques and enhance their career in this evolving field of study.